We had an exciting week of book related activities to celebrate the enjoyment of books. 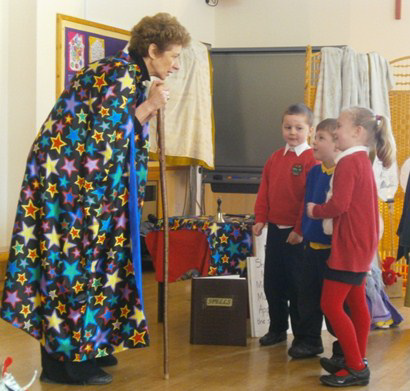 ‘Tell Tale’ Storytellers visited us and told the children the story of ‘The Dragon Who Couldn’t Get Cross’ and led some drama workshops. 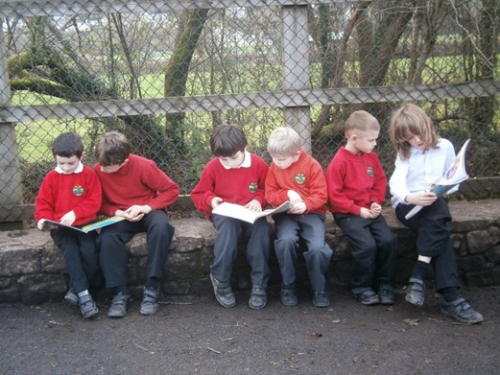 The children enjoyed reading with children from different year groups. They also took part in a story trail around the schools’ grounds, hearing the story of ‘Zog the Dragon’ and taking part in activities along the way. On World Book Day the children and staff dressed up as their favourite book characters. We also held our first ever “Bed Time Read” last Wednesday from 5.30-6.30pm. The teachers were delighted with the number of children and parents that attended; the children wearing their pyjamas and cuddling their favourite teddies! The chil-dren were given hot chocolate and could choose a book from the library for their parents to read to them. Many parents have said that this event has helped to encourage them and their children to read more together at home.